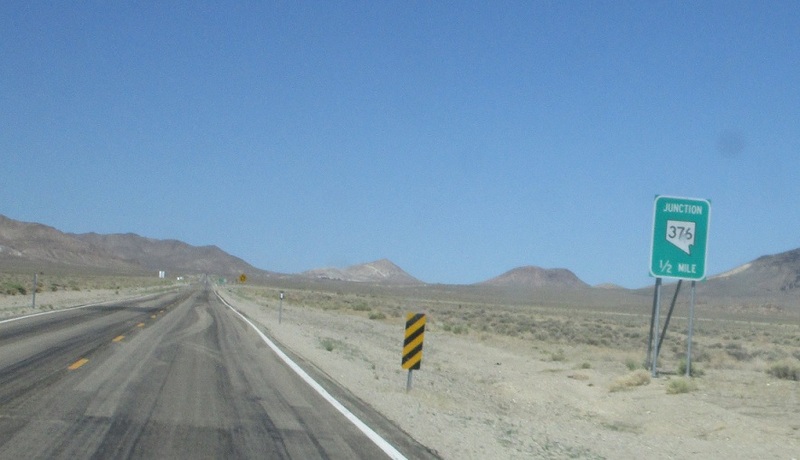 Reassurance shield after the SR 375 junction. 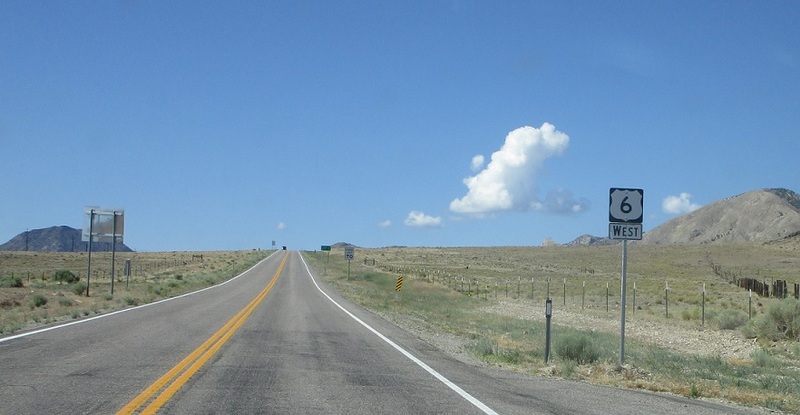 Reassurance shield several miles later. Reassurance shield as we pass through the beautiful desert. 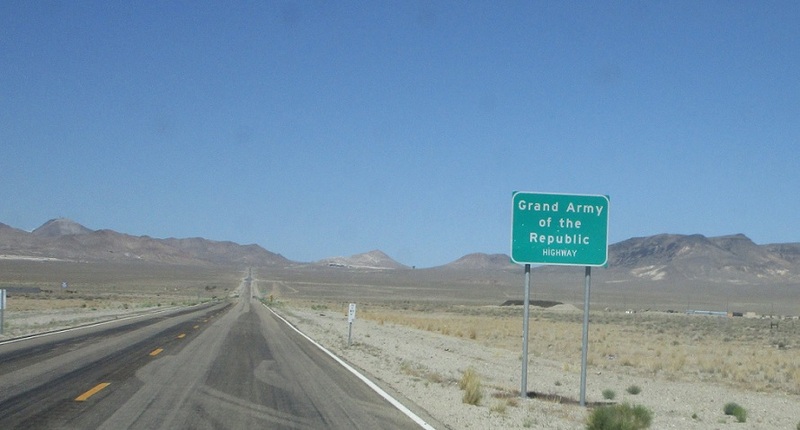 US 6 is the Grand Army of the Republic Highway. 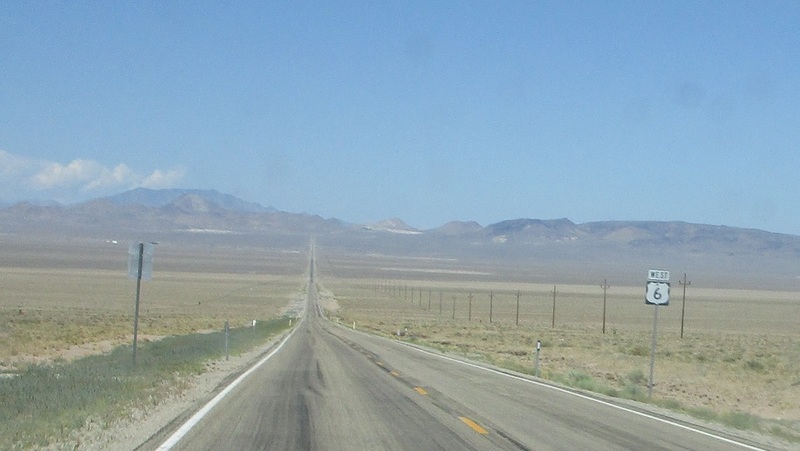 At the other end of that long valley, we’ll approach SR 376. 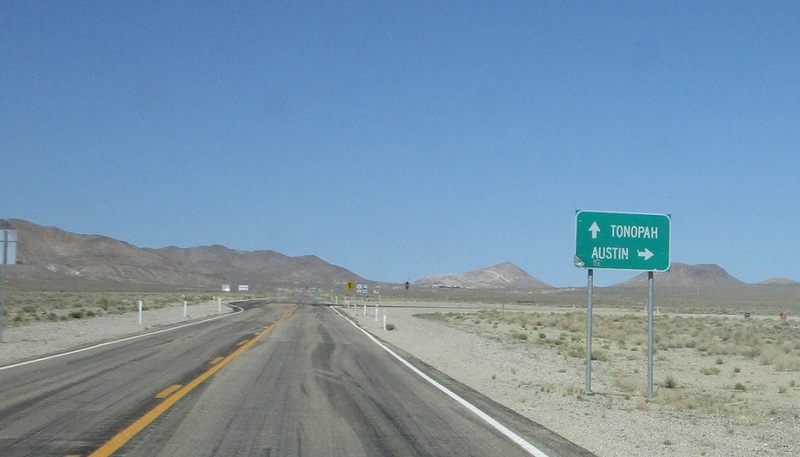 Follow 376 north to Austin. 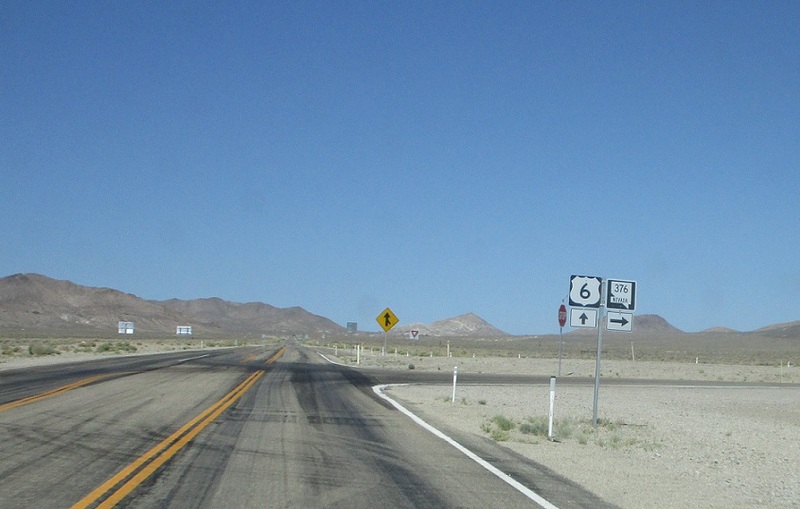 Stay on US 6 for Tonopah. 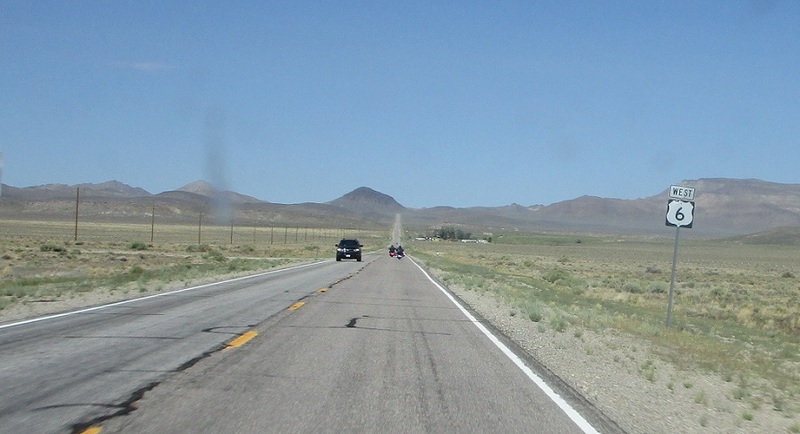 Turn right for SR 376, which is a classic north-south Nevada highway, heading in a long straight line between mountains.